Frustration is mounting for those awaiting a final verdict on the fate of their medical marijuana grower and distributor licenses. The original timeframe called for the commission to hand out the licenses this coming January, but as we posted a month ago this was optimistic due to the unexpectedly high number of applications. While it was hoped the delay would only last a couple months, officials are now claiming that decisions will not become final until the summer. The minimum six-month delay has all but eliminated the chance of medical marijuana being available to Maryland patients in 2016, and now commission has declined to give an estimated timeframe for pretty much anything regarding the program. This lack of information seems unfair given the strict deadlines and financial burdens all the applicants are facing. One thing we do know is that the typical growing cycle for indoor cannabis is 4-10 months, which means it will take an average of 7 months from the time the first seeds are planted until the product will be ready for distribution. While adding half a year for production to the commission’s expected summer application timeline means we’re at least a full year away from medical marijuana, there still may be more unforeseen obstacles. A couple months back the Anne Arundel County government was in the news after the executive threatened to ban local medical marijuana operations. This dispute was later settled by the county council, but now Calvert County has joined as another locality that may spar with the state over marijuana policy; its board recently voted in favor of requesting state lawmakers allow certain localities to ban medical cannabis. Calvert County officials cite concerns that their government employees are at risk federal of prosecution as long as marijuana is an illegal controlled substance under federal law. This is the same tired argument that anti-marijuana activists have been relying on for years, and is completely disingenuous. While it is technically possible that this scenario could take place, it’s not going to happen and anyone who believes it could happen is simply using it as a ploy. 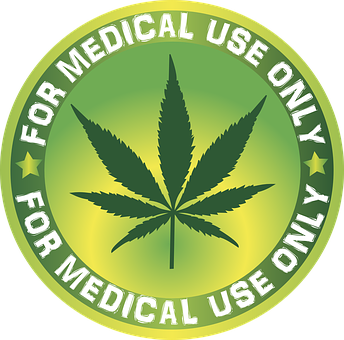 There is simply no chance the DEA would is start arresting local government employees for working on some aspect of state sponsored medical marijuana. The current administration has already vowed to stay away from state sponsored marijuana, and even the most socially conservative presidential candidate wouldn’t get involved. The anti medical marijuana localities will eventually lose out to the state legislature, but their pushback could cause further delays for the program. If any of these quarrels end up in court there could be months of litigation while ailing patients continue to suffer and bona fide investors continue to hemorrhage money. Architects of the medical cannabis program want the state to remain unified on this issue, with grow operations and dispensaries spread evenly across Maryland. Let’s hope this can be accomplished by the start of 2017. The Blog will continue to follow this issue as always, and we’ll post a follow up article in the near future to keep our readers updated. Benjamin Herbst is a Maryland controlled substance lawyer who handles marijuana cases and all other drug violations in state and federal court. Contact Benjamin for a free consultation anytime at 410-207-2598. Maryland probably won’t have medical marijuana for sale before 2017, washingtonpost.com. Another Maryland county wants out of the medical marijuana industry, washingtonpost.com.